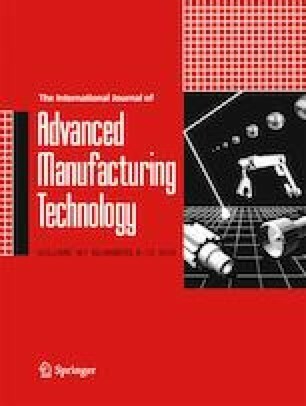 Robots used in machining processes are more prone to mode coupling chatter due to low rigidity and asymmetrical structure. In this paper, a new stiffness orientation method is proposed to optimize milling path and improve stability of the robotic milling system. First, the principal stiffness directions of the robot are determined through experimental or calculated modal analysis. Then, based on kinematics, the principal stiffness directions are projected onto the processing plane. Second, a mode coupling chatter stability criterion for robotic milling is obtained based on machining force analysis and system dynamics stability. Finally, a robotic milling path optimization algorithm based on the stiffness orientation process is proposed. Experiments were performed to verify the benefits of pre-optimizing the machining path to avoid mode coupling chatter and improve machining accuracy. This research was supported by the Fundamental Research Funds for the Central Universities of China (No. N170304020) and National Natural Science Foundation of China (No. 51875094, No. 51575094, and No. 51775085).